Since its introduction in 2005, the Markbass CMD 121P has been an absolute top-runner and quickly became the best selling combo in its class. With an output of 300 watts @ 8 Ohms through the 12”speaker, the amplifier delivers huge sound with a ton of power. By attaching an additional speaker, the output performance is increased to 500 Watts @ 4 Ohms. With help from the 4-band equalizer as well as the Vintage Loudspeaker Emulator (VLE) and the Variable Preshape Filters (VPF) the sound can be adapted to your personal tastes. External effects can be integrated via the serial effect loop, while the Tuner Out allows you to connect a tuner. The volume controlled, symmetrical Line-Out allows for the direct connection of the amplifiers to a mixer or recording device. 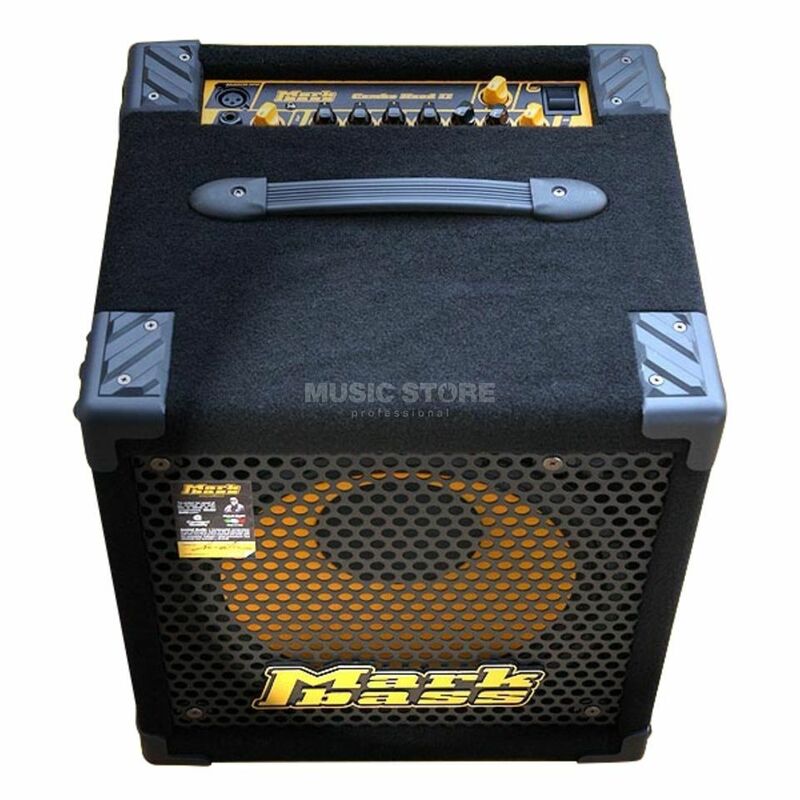 The 12“ B&C speaker featuring a neodymium-magnet, the digital switching power supply and the housing design of the Markbass Mini CMD 121P LM3 Combo makes it very light-weight and transportable.